"Therefore, o ye that embark in the service of God, see that ye serve him with all your heart, might, mind, and strength, that ye may stand blameless before God at the last day." I made our shirts based around this design from Alexaz Design. 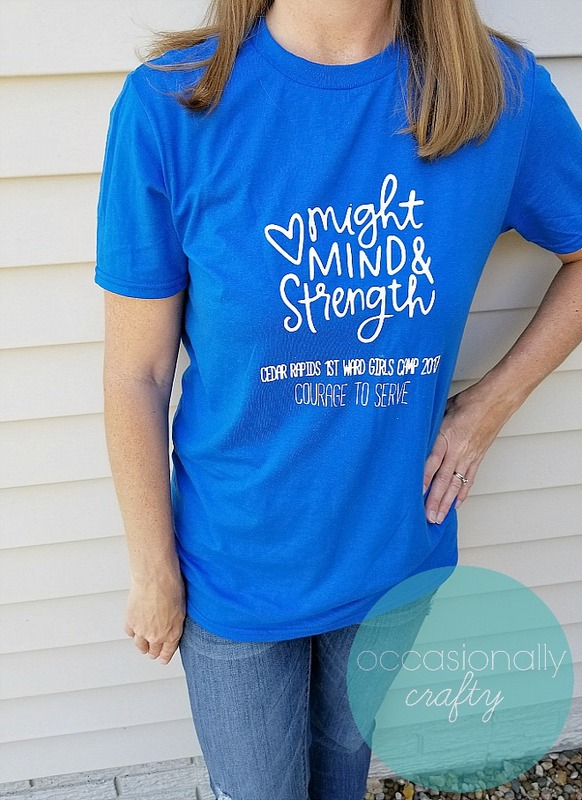 I then added our ward and actual theme to the shirts to make it a little more personal to us. Each group chose a YW value color. We chose blue for divine nature. I ordered blank shirts from Jiffy Shirts, and some heat transfer vinyl from Expressions Vinyl. 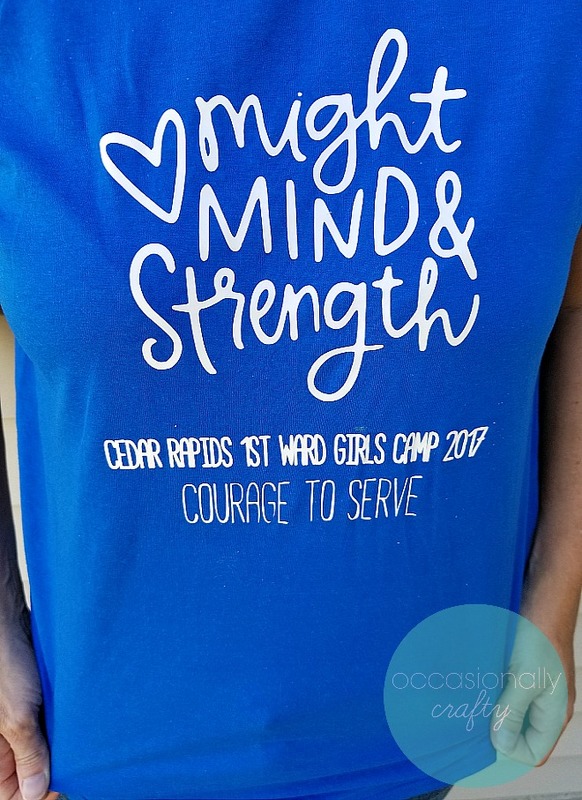 I made the completed design using my Silhouette Studio software, then cut out a bunch of decals with my Cameo and pressed one onto each shirt. I thought I'd also show you the runners up (I let the girls vote on their favorite). 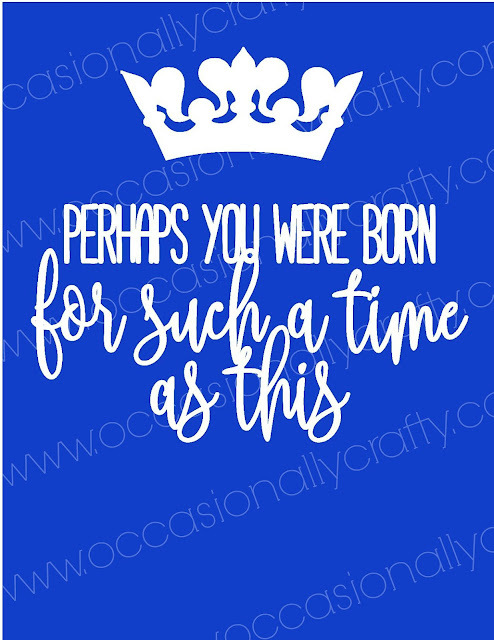 I made this one to represent our scripture heroine, Esther. 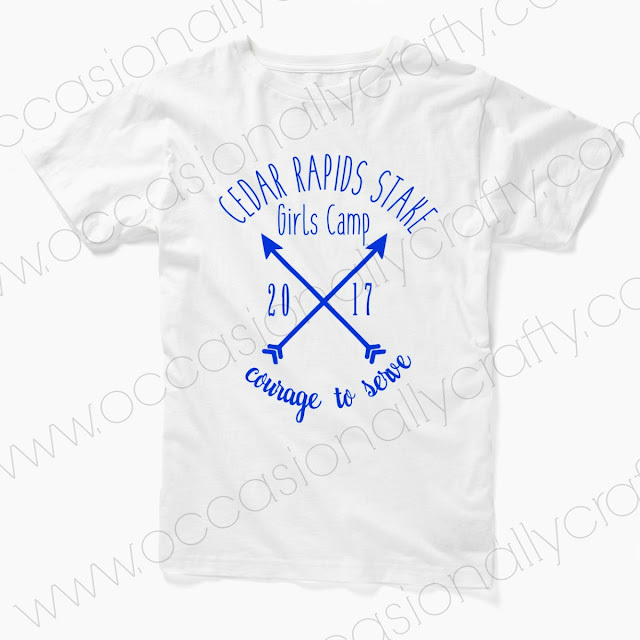 I'm so excited to show the shirts to all the girls! What's your girls camp theme this year?